You are currently browsing the BestOfBothWorldsAZ.com blog archives for the day Tuesday, July 5th, 2011. 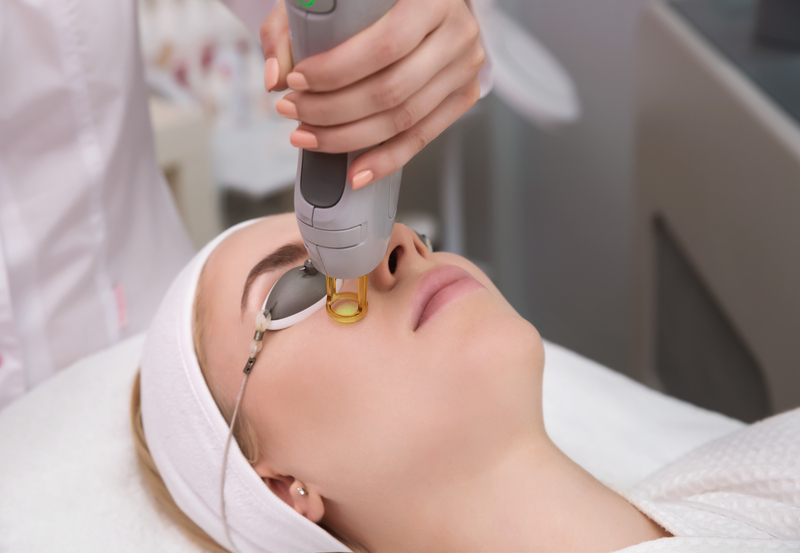 Laser Burns: What to do when you have been burned by an aesthetic laser or IPL. I have been getting a lot of messages from people all over the world, that have received burns from an aesthetic laser or IPL (photofacial) treatments. The question is almost always “What should I do to treat laser burns?” It’s important to understand that, nobody can diagnose or treat you over the internet. There is not anything on line that can replace direct medical attention. At best, this information may give you some talking points for you and your provider and help to explain possible reasons a burn may have occurred. You should always follow up with your provider. All aesthetic treatments come with inherent risks, this includes burns. Your provider should be able to provide you with care, if you have followed with your provider and complied with treatment recommendations, and are not seeing correction in a realistic time frame, then see a qualified provider for a second opinion. *The information here and any where on the internet does not replace replace personal treatment by a trained professional. How to tell if you have been burned? It is normal for skin to feel hot during laser and IPL treatments, but you should expect the skin to cool down quickly. Your laser technician can give you an idea how long you should expect the skin to feel hot. For example if you are having a laser hair removal treatment or a photofacial, your skin should cool down almost immediately. It typically feels like a hot rubber-band snap, without any lingering pain or heat. If it feels extremely hot and is not cooling down you should alert your technician as they are doing the treatment. This will allow the technician to adjust the treatment settings. The technician can also take immediate action to cool the skin and possibly prevent a burn, or reduce the severity. Usually, you will know almost immediately if you have a burn. In some cases however, the skin may feel hotter shortly after treatment. As soon as you suspect a burn, you should call and speak to the laser technician. If you suspect that you have been burned, be sure to discuss it with your Laser Technician before you leave the office. Make sure you understand what to expect and how to treat your skin at home. Schedule an appointment for a post treatment follow-up, and never hesitate to call the office if you have questions or concerns. It is important to comply with post treatment instructions. Remember…. your friends, the girl at the cosmetic counter and strangers from online forums are not a replacement for a professional trained in your specific treatment. If you are not satisfied or confidant with the post -treatment care you are receiving from the laser technician, ask to speak to the medical directer. Hopefully, there is a doctor is the office. If you have gone to a med-spa chain, there may be a medical directer for several locations. You should first make every attempt to work with the staff at the clinic where the laser treatment was provided. If you have followed up with your provider and complied with treatment recommendations and are still not satisfied with the level of care, then seek a second opinion. You want to get professional treatment as soon as possible. Information provided here or anywhere on the internet can not replace personal treatment by a skin professional. I have a burn, now what? The recommended treatment for burns, will depend on the degree of the burn. If you suspect that you have been burned severely and find the pain intolerable or if the burn covers a large portion of the body, you may want to go to the emergency room. In most cases, it is not necessary to make a trip to the emergency room, however in rare cases you may need immediate medical attention. Be sure to let the laser technician know as soon as possible. They should be aware so they can review the treatment settings used and asses if there is an issue with the equipment. They should have you return to the clinic as soon as posable, to assess the burned area, and give you post treatment instructions. You may also be scheduled to see the medical director (a doctor) or a nurse if necessary. It is the patients responsibility to communicate with the provider, return to the clinic for post treatment visits, and follow post treatment instructions. Actual treatment will depend on the type of burn. – Cool the skin as quickly as possible (within the first few hours). This is critical! – While driving home after the treatment, aim the air conditioner toward the treated area if possible. – Soak a washcloth or gauze in a bowl of ice water, ring out the excess water and apply the to the treated area. Switch out the cold cloths every couple minuets. When you feel gauze or cloth become warm, it is the time to switch it out. – Do not apply ice directly to the skin, and do not leave cold packs on the skin for an extended period of time. On for ten minuets, off for ten minuets. – Apply occlusive ointments such as aquaphor or vasoline if instructed, as it can trap in the heat. After the skin has had time to cool, and the skin begins to heal you may then be instructed to use an ointment to protect the skin. If the skin has been ablated or is “raw” you may be instructed to use an occlusive ointment immediately and apply cold packs over occlusive sheet or ointment. – You may be instructed to apply antibiotic cream or ointment to the burn. Once the burns have healed, the concern becomes how to treat and prevent scars. The most important thing you can do is protect the area from further injury, this includes avoiding sun exposure. Be sure to use a Physical SPF 35 or higher with Zinc Oxide. You may be instructed to use a4% Hydroquinone cream and Tretinoin (Retin-A) to reduce risk of or even treat hyper pigmentation ( dark skin discoloration). Topical Serums that contain Vitamin – C , and products with growth factors can aid in collagen production, improve skin healing and reduce inflammation. If the burn marks are old and have not responded to topical skin care, you may need something like a medium depth chemical peel, to treat the scars. 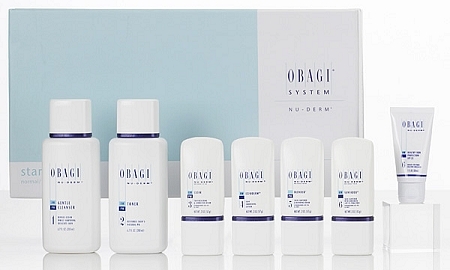 Medical skin care systems such as Obagi Nu-derm or ZO Medical incorporate the use of prescription strength Hydroquinone and Tretinoin, which even skin discolorations. These are prescription strength skin care lines, available at many dermatology and plastic surgery offices. The treatment protocol is patient specific and a skin care professional will determine the best way for you to use these products. If you have had a recent burn it may be suggested that you avoid products that contain AHA’s or any other exfoliants, until the skins epidermis has been restored. The strength of Tretinoin and frequency is something that needs to be determined after a personal consultation. Non-facial areas such as the neck, chest, hands and arms are treated differently than facial areas, this is another reason you need to be seen for a follow-up. Skin type and ethnicity are also considerations. Skin Medica’s TNS Recovery Complex has a potent growth factor blend that strengthens the skin’s natural ability to regenerate itself. This product is not a drug and thus there is no medical claim. Although this product is not specifically indicated in treating burns, in my personal experience it seems to aid in healing. I was in a car accident, where the air bag left me with several abrasions and burns. The areas that I treated with TNS seemed to heal much quicker. I use this product any time I am trying to improve skin healing, and it never disappoints. The top ingredient in TNS Recovery Complex is Human Fibroblast Conditioned Media (TNS®) → A physiologically balanced, naturally secreted and stabilized combination of multiple human growth factors, cytokines and natural proteins responsible for the production of collagen and other extracellular matrix proteins. 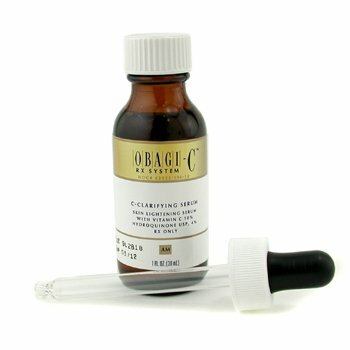 Obagi-C Rx contains a patented combination of 4% hydroquinone and 10% Vitamin C. It address discolorations and has powerful antioxidant therapy. The vitamin-C will also help reduce inflammation. Is Clinical Pro Heal is a vitamin serum with a 15% Vitamin C, Vitamin E and Vitamin A. It also has 0.5% kojic acid that evens skin pigmentation. It has soothing and healing properties and reduces inflammation. Pro Heal is recommended for treating sunburns, rosacea and insect bites. Is Clinical Hydro-Cool Serum contains Hyaluronic Acid ,Vitamin B5, Kojic Acid and Menthol. It is a hydrating serum that calms cools and soothes irritated skin. You can use this product alone or add it to another product. There are several variables that can lead to laser and IPL burns. One of the most common reasons, is that the skin is tan at the time of treatment. It’s important to understand that IPL and all lasers are absorbed by a specific chromophor. In many cases the targeted chromophor is color. We want the energy to be absorbed by the color in hemoglobin to target blood vessels and the color in melanin when targeting unwanted hair or skin discolorations such as freckles. When your skin is tan at the time of treatment, the energy is not just absorbed by the intended target, it is also absorbed by the surrounding tissue as well. Tan or dark skin will absorb more energy (heat), resulting in a burn. This is also a concern for skin of color. People with darker skin tones need to be careful to go to a skin professional that understands how to treat their skin type. This is not to say that if you have dark skin you are not a candidate for laser, however there are some lasers that are more appropriate for dark skin. It may also be recommended to precondition skin in advance. I don’t find machine malfunction to be the most common reason for laser burns, if the device is a real FDA approved device, however it does happen. Beware, there are many counterfeit and knock-off devices on the market and these have been linked to burns and complications.These counterfeit devices are not FDA approved and likely do not have the same safety mechanisms as the authentic devices. Often these fakes look similar to other popular device with similar logos and font that can be confusing. I recommend you look for the name of the laser on the device. Most lasers have the manufacture name in an area that is clearly visible. You should be able to look up a manufacture website and find the name of that device and often a list of approved providers. In my opinion some of the most severe burns are a result of a problem with the equipment. If the complication is unusual or thought to be an issue with the device, It should be reported to the device manufacture. In some cases the problem is in the technique. Technician error is a growing cause of laser burns, simply because the industry is growing. There are a large volume of new laser technicians entering the industry. Some of these new technicians will be knowledgable and talented, unfortunately a some will not. A “good” laser technician needs to have a good understanding of laser technology and skin. This comes with experience and continued education. Not all lasers work exactly the same, so a laser technician needs training for each laser they work with. The more experience a technician has with lasers in general, as well as a specific laser will reduce the possibility that their clients will be burned. In addition to understanding the technology being used, the technician should understand how skin will react and determine if someone is a good candidate for treatment. They should also determine if someone needs to precondition their skin before treatment and what is a good post treatment protocol. Keep in mind that even the best laser technician can encounter an unexpected complication, and burns are an inherit risk of laser and IPL treatments. I can not stress enough the importance of going to a qualified, experienced laser technician with a good reputation. I don’t think anyone deserves to have a burn or complication and I am sincerely sorry when it happens. However, everyone should except the role they play in their treatment. For example, you should not be tan when you have a laser treatment. It is the patients responsibility to inform the laser technician if they have had ANY sun exposure or even spray tan to the treated area. Patients are also expected to inform the laser technician of any medication or skin care products they are using. You also need to communicate with the laser technician during and after the treatment, and let them know what you are feeling. Be sure to follow all pre and post treatment instructions, such as avoiding heat and sun exposure. If you don’t follow the pre and post treatment instructions, you run the risk of a complication. You play an active part in your own treatment, and that begins with choosing a qualified and experienced laser technician. If you chose to go to a specific med-spa based on price or location, you should understand the risk involved. It is also your responsibility to follow-up with your provider if you have a complication, comply with treatment recommendation and return to the clinic for all recommended follow-up visits. Providers can not control your compliance. Burns and other complications are an inherit risk of aesthetic and laser treatments, you should understand and except all risks before you consent to treatment. You should also understand that additional products or treatment may be needed at an additional cost to you. It is important that you communicate with your laser technician and return to the clinic for follow-up visits.